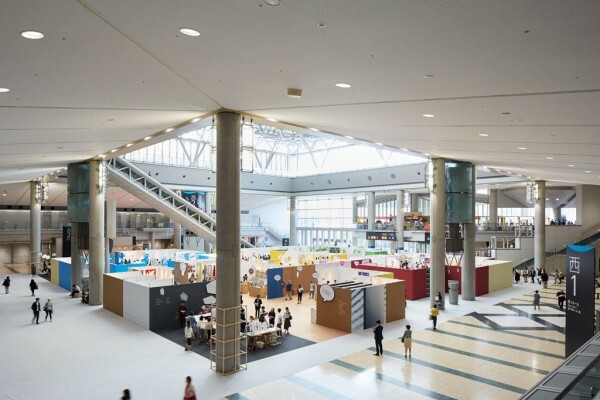 We dressed the Atrium exhibition site for the 2016 edition of the Interior Lifestyle event held at Tokyo Big Sight every year in June under a different theme and director. 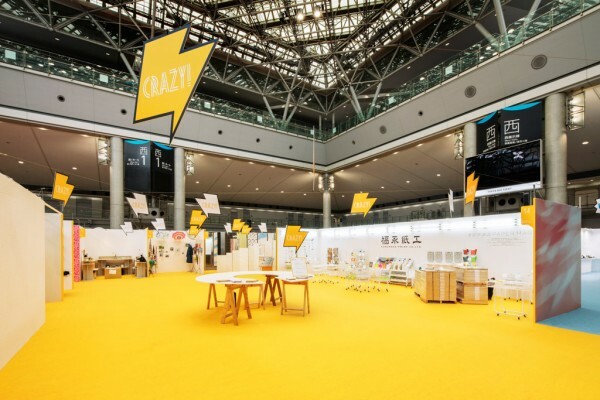 Torafu directed the event in 2016 under the theme of “Designs we wish to share.” Because we are in the age of the internet, we devised the exhibition site so that people would come and touch the products, and then want to share their thoughts with everyone else. 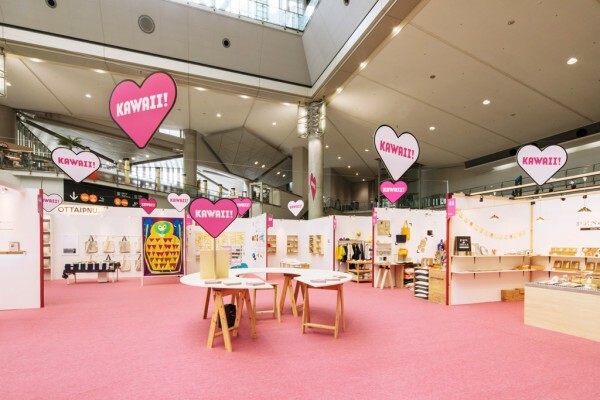 The entire venue was split into five areas with these concept words – GOT IT!, CRAZY!, WOW!, FINE!, and KAWAII!. 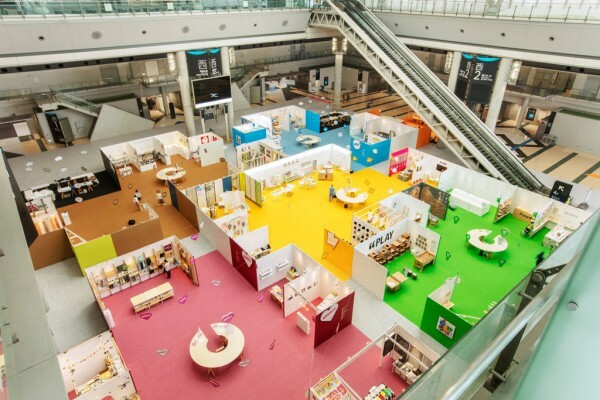 Each exhibitor was assigned to each area according to the characteristics of their product. 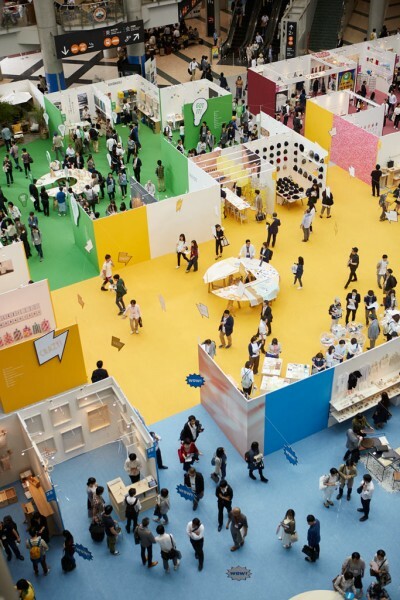 We conceived the entire venue to be like plazas and streets where visitors could stroll around as they passed through the five areas. 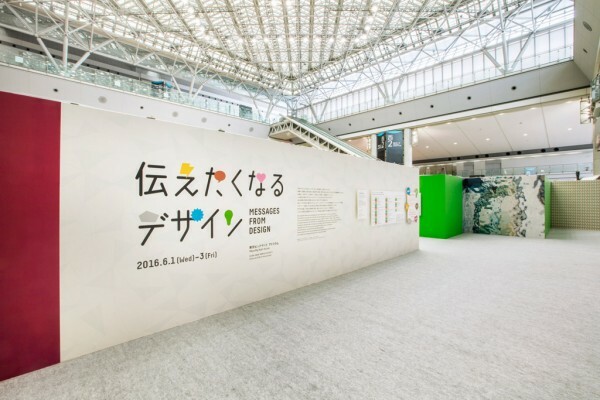 When entering a plaza, the variously shaped speech bubbles suspended overhead created a lively and festive atmosphere. 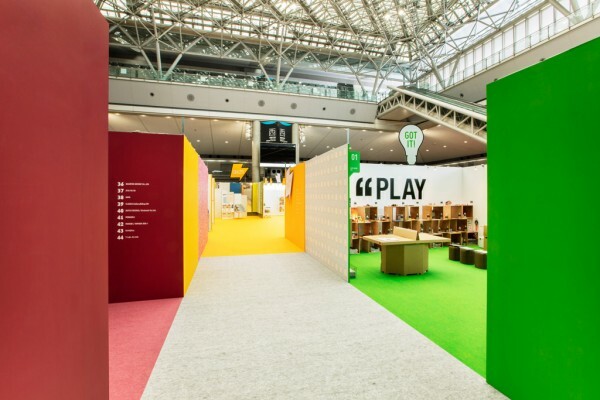 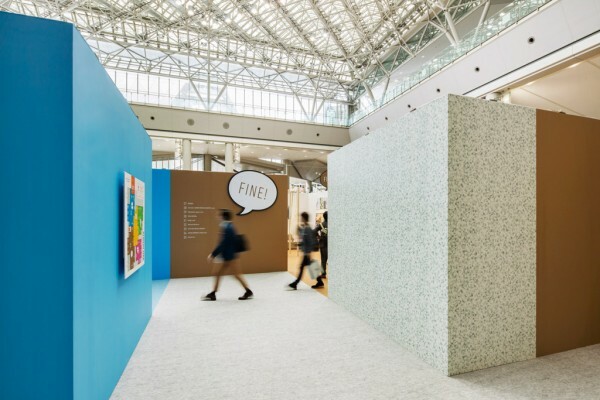 Rather than have each booth act as an independent exhibition space, we treated the entire area, including the plaza, as a marketplace, which is why the floor finish is the same color for the plazas and exhibitor booths. 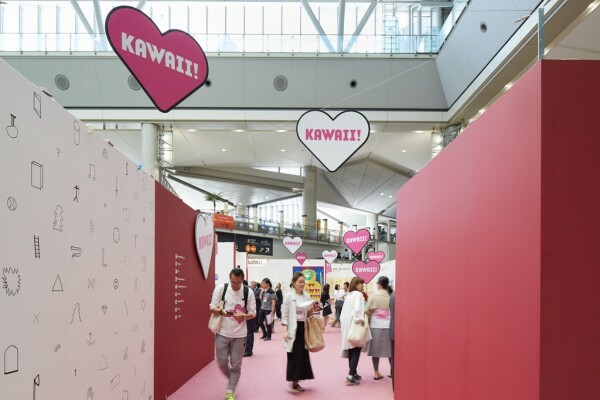 Normally, we would only use a single type of wallpaper for the walls, but this time, we used a variety of wallpaper patterns that created an enjoyable sight to behold, even for visitors in the adjacent halls. 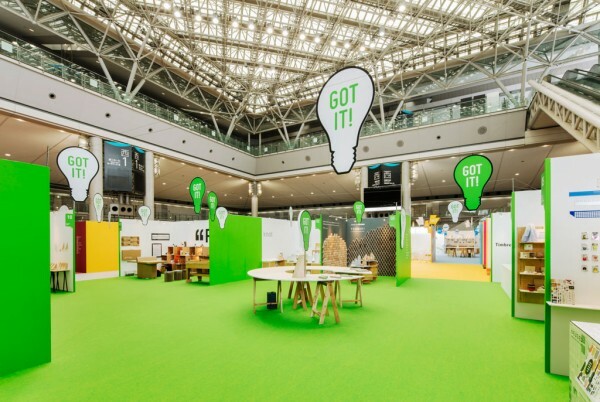 A round table called a “communication table” was placed in the plaza center of each area so that exhibitors from each area could take turns to directly convey the merits of products to visitors by conducting workshops and performances, and by exchanging ideas with other designers. 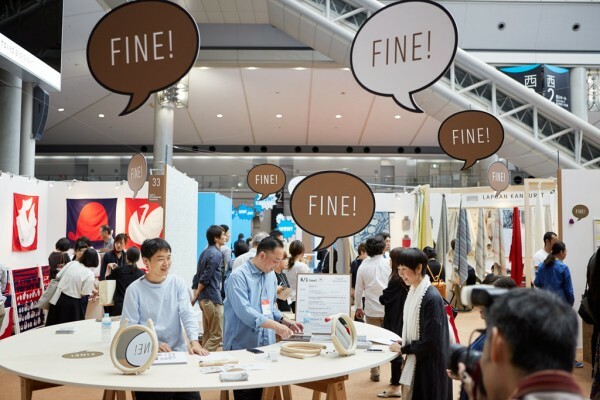 We aimed to create a site that would spark the feeling of wanting to convey these unique designs to others across Japan through word of mouth and social media.